Audio data cassette – Ltd Ed. 256 ex. LogforData is an audio tape composed of several audio coding protocols extracted from a 56k modem, FAX as well as personal computers from the 1980’s. This audio data also contains several texts from online secure conversations between several members of an IRC channel. 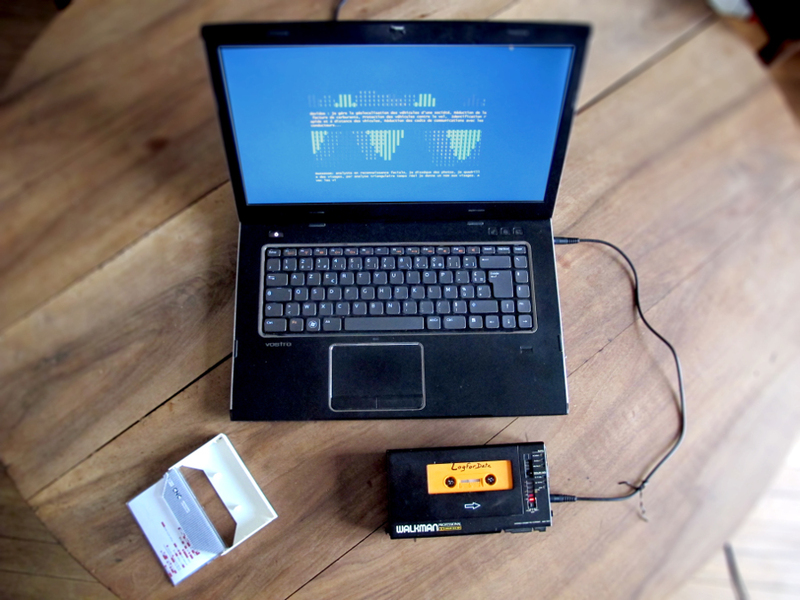 The decoding of the content is made possible by linking up a cassette player to a computer connected to the website logfordata.net. A personal version of the text appears according to the accuracy of the tape player, the swiftness of the computer system and its Internet connection. 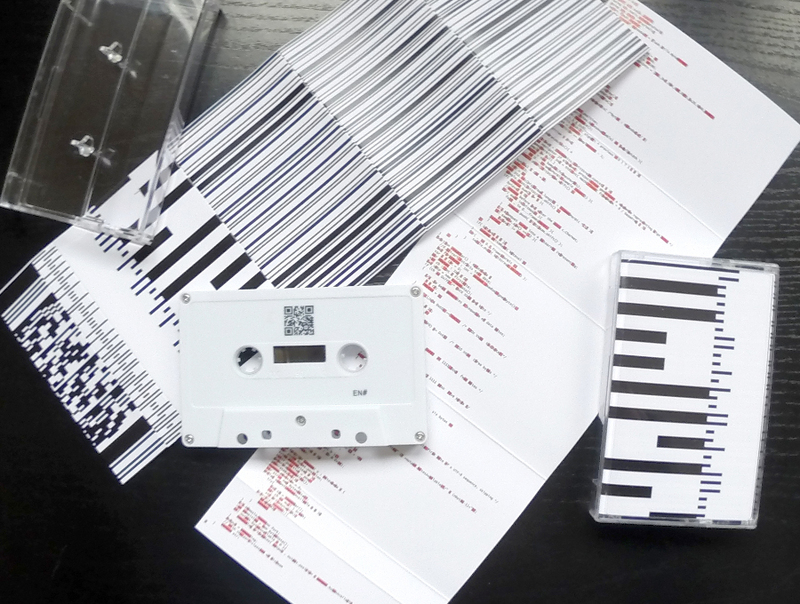 The tape has 15 minutes of audio data streams per side, one in French and one in English. The decoded texts give us a glimpse into the existence of a pure data ecosystem, a world where information has mutated towards an independent life form. Tape – limited 256 ex.